Are you prepared when it's time to perform? Are you really prepared? It pays to take care of the details before you go onstage. 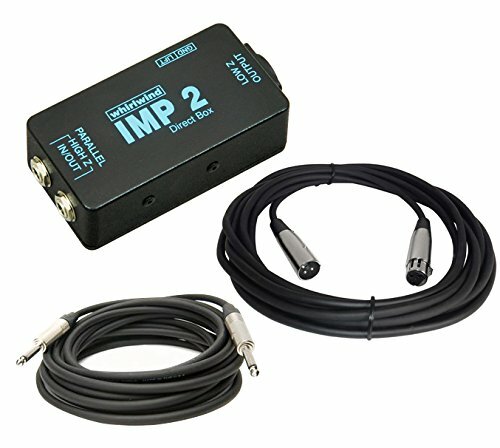 And if we were you, we'd take our favorite DI - Whirlwind's IMP 2 - out of our gig bag when we spy that ratty old box the sound tech left onstage for us to plug into. You'll thank yourself later! What makes the IMP 2 such a necessary item? Easy - it flat out works. Every time. It's built like a tank. It has a ground lift switch, the inputs, and outputs you need, and its transformer is riveted to the chassis - not glued. The pros use this box; is your performance worth it? Get one today!